“The world is full of sorrow,” Agapita whispered to Alfonso. Did she stamp those words into his destiny? The story of Alfonso, a Nuevo Mexicano, begins with his birth, when the curandera Agapita delivers these haunting words into his infant ear. What then unfolds is an elegiac song to the llanos of New Mexico where Alfonso comes of age. 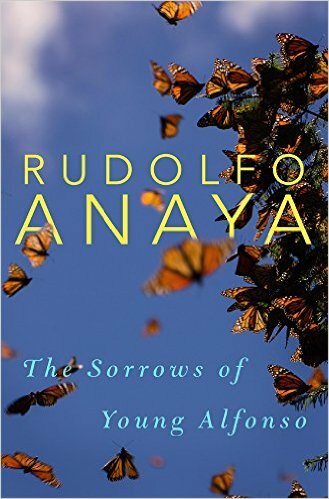 As this exquisite novel charts Alfonso’s life journey from childhood through his education and evolution as a writer, renowned Chicano author Rudolfo Anaya invites readers to reflect on the truths and mysteries of the human condition. Because Alfonso “didn’t write his own biography,” it falls to his childhood friend, the anonymous narrator here, to tell his story, through a series of letters addressed to a mysterious figure named K. The narrator depicts young Alfonso caught between dual influences: his beloved, devout Catholic mother, Rafaelita, and the folk healer Agapita. After suffering a terrible accident that leaves him physically handicapped, Alfonso faces intellectual crises during his university years, all of which move him down the path of his destiny. In describing these events, the “old man” writing the letters interweaves Alfonso’s experiences with fragments of his own life and of the New Mexican llano that both men have called home. The trajectory of Alfonso’s life in turn mirrors the history of New Mexico and the turbulent beginnings of the Chicano movement in which the young protagonist plays a trailblazing role. ABOUT THE AUTHOR: Rudolfo Anaya is Professor Emeritus of English at the University of New Mexico and author of numerous books, including THE OLD MAN”S LOVE STORY. He has received numerous literary awards, including the Premio Quinto Sol and a National Medal of Arts. Anaya resides in Albuquerque, New Mexico.